An interesting change of roles is the distinguishing feature of the three-lamp Aim Sospensione. Usually the light’s cable is considered to be an annoying accessory part and should therefore remain concealed. Now, the French Bouroullec brothers created the Flos Aim Sospensione LED 3-lamp – a pendant light that stands out for its striking cables. Just like tropical climbing plants, the cables of the pendant light form a thick mesh. This way, a poetic and extraordinarily brave pendant light with a strong visual presence is created. 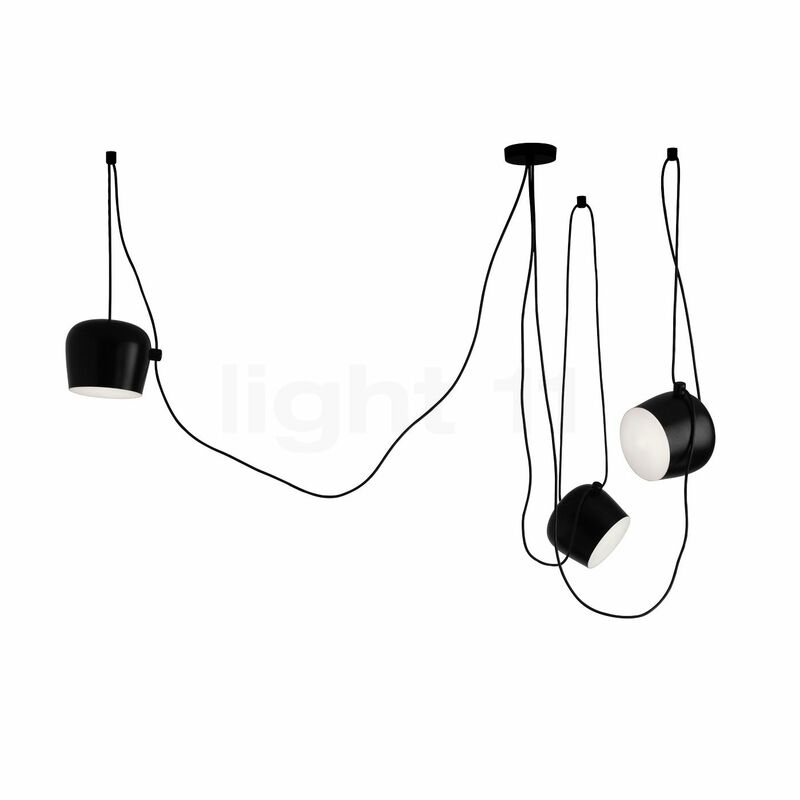 For this reason, the pendant lamp from Flos received the Good Design Award in 2013. The Aim Sospensione LED 3-flame Decentralized pendant lights was designed by Ronan Bouroullec and Erwan Bouroullec in 2013 for Flos. The Aim Sospensione LED 3-lamp impresses by its individually adjustable zone lighting. All three heads can be individually aligned so that they may highlight their own area. Moreover, the high light intensity of 3,750 lumens also allows them to supply indirect ambient lighting when all light heads are directed towards the wall or the ceiling. To achieve this remarkable light intensity the Aim Sospensione LED only requires 48 watts. For comparison: A classic incandescent lamp with a power of 200 watts produces significantly less light. This means that the pendant light from Flos turns out to be a real energy saver which is good for the environment as well as the household budget. Tell other customers and us about your experiences with the Aim Sospensione LED 3 lamps ! 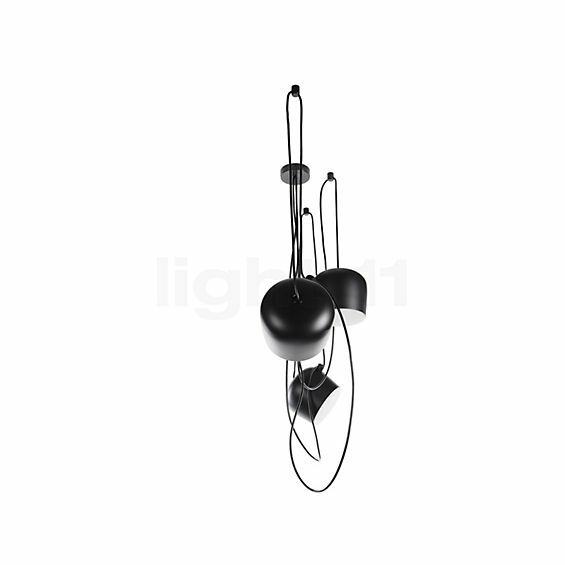 The height and the alignment of the Aim Sospensione LED 3-lamp from the Italian light manufacturer Flos can be individually controlled by sliding the cable and thereby directing the light exactly to where it is required. This pendant lamp can be used, for instance, in the living room where it convinces with its indirect feel-good light as well as the direct reading light. However, a dining table, a cupboard or a shelf in the dining room also benefit from the target-oriented zone lighting emitted by the unique Flos Aim Sospensione LED.